Denver, Colorado - home to the Denver Broncos football team, Denver Avalanche hockey team Denver Rockies baseball team, the Denver Nuggets basketball team ... and the USA Pro Challenge! This is Peyton Manning territory, cowboy country, Colorado state capital, micro-brew heaven, home of the active lifestyle in a mile-high city (5280ft). 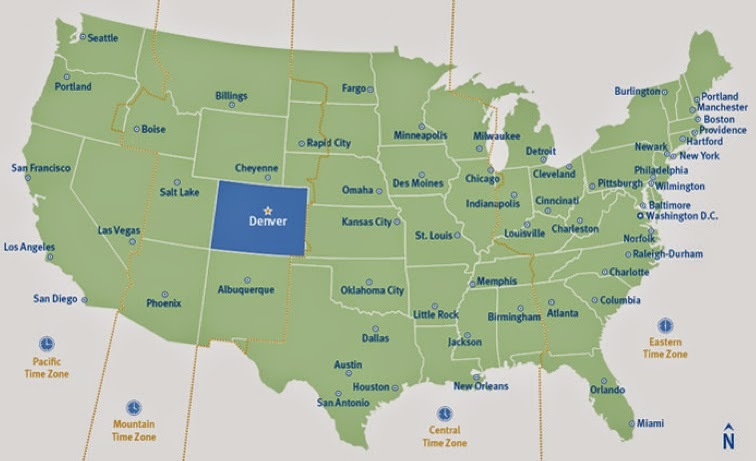 With a population of 650,000 people, Denver can feel like a big city and a small town all at the same time. Denver, Colorado is where I live. 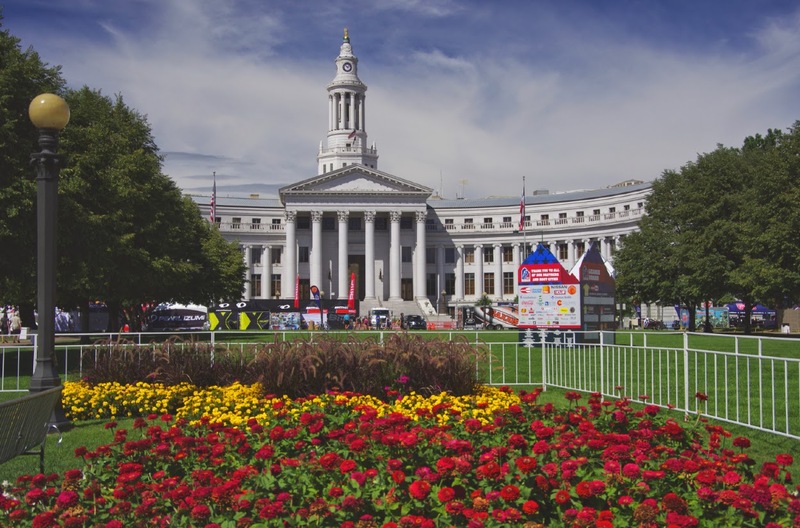 Seal Pond in Civic Center Park, Denver floats the USA Pro Challenge logo in 2013. If you visit Denver, you will likely take in a professional sports game, participate in a sporting event, a concert, visit a museum, walk around the Denver Botanic Gardens or Zoo, enjoy a brewery or a small restaurant in a local neighborhood, and most definitely a walk in a local park (5000 acres including - Cheeseman Park, City Park, and Washington Park). You can also rent a bike and pedal the Cherry Creek bike path (Denver bike paths), or cruise around on a B-cycle inner city rental bike. 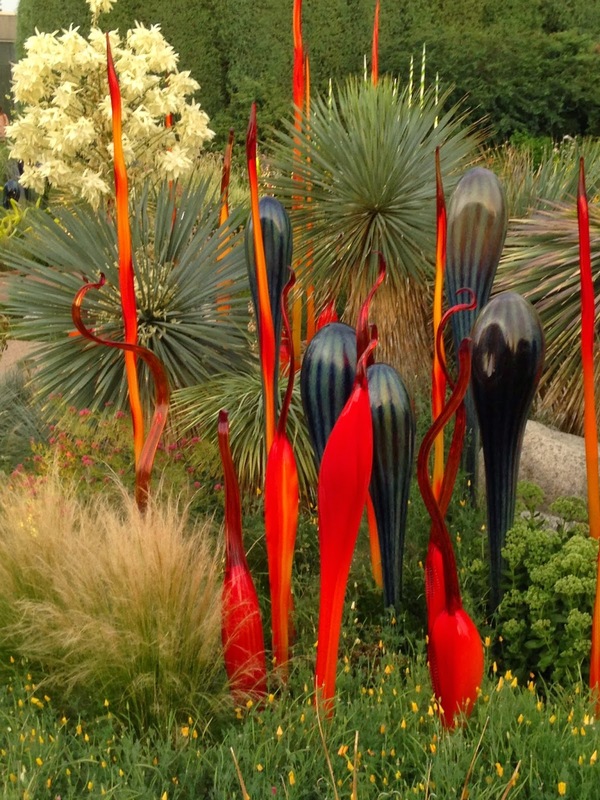 The Botanic Gardens currently has an excellent Chihuly Art exhibit. Chihuly glass at the Denver Botanic Gardens. Visitors flying into Denver International Airport (DIA) often feel like they have landed in Nebraska and wonder where the fabled Rocky Mountains are - that is because our airport is located out east in the flat lands (more like rolling lands) and the mountains cover the western half of Colorado. 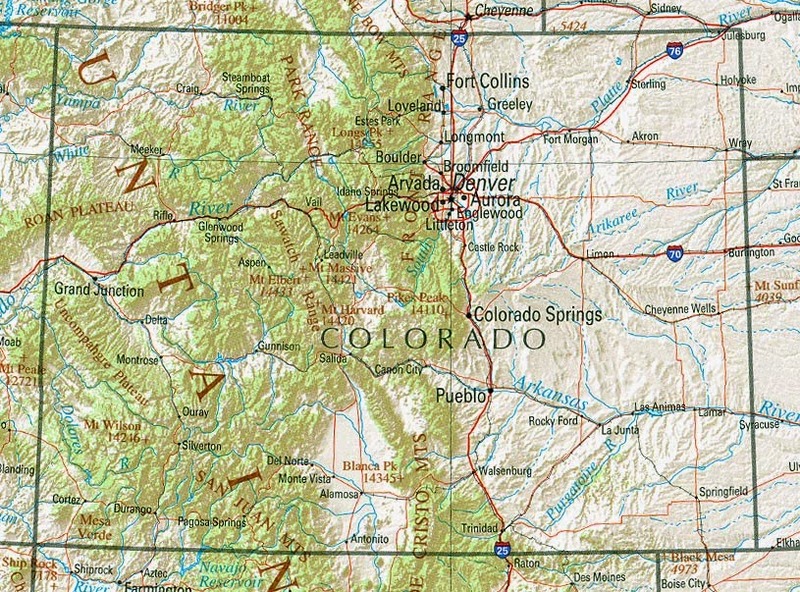 Colorado is half mountains and half ranch land. 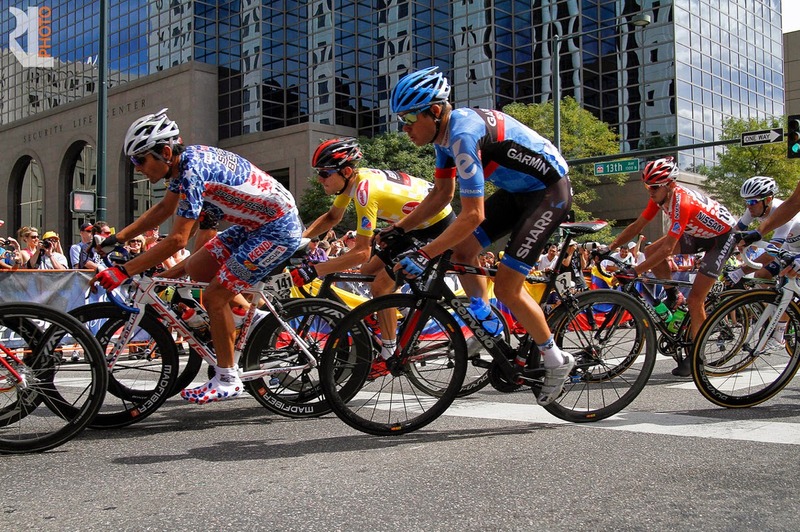 If you happen to be in Denver on August 24, 2014 you will definitely want to go downtown to see the USA Pro Challenge professional bike race. 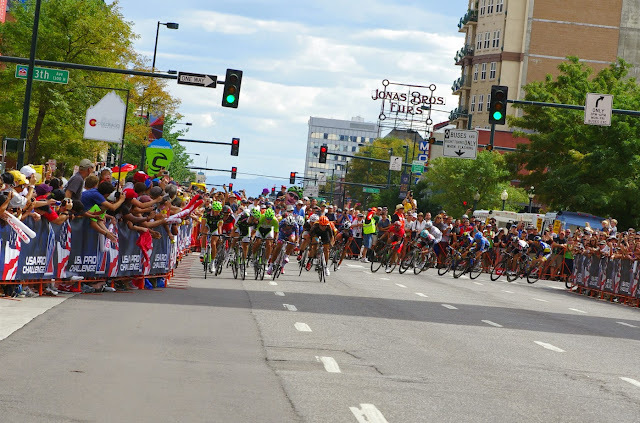 Freddy Rodriguez, Tejay van Garderen, Tom Danielson and Matt Cooke race the final laps in Denver in 2013. Racing by the Denver Art Museum. 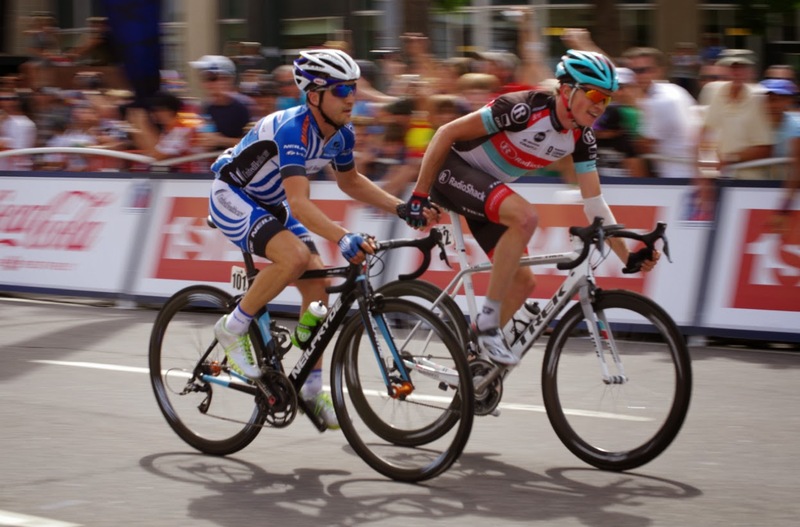 Lucas Euser and Ben King conceding the breakaway to the approaching peloton behind them in Denver, 2013. Poised and waiting for the big finish in Denver. Peter Sagan wins the sprint in Denver in front of all the fans. 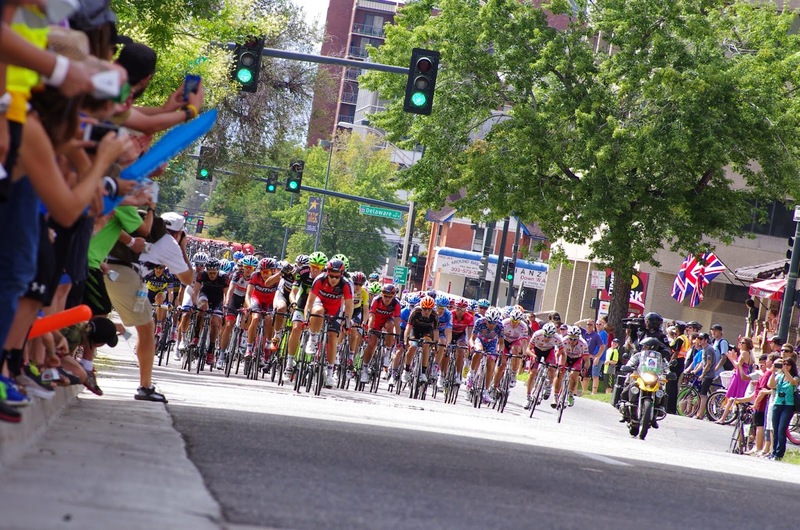 * Please note that the route of the circuit laps in downtown Denver does not go down Speer Blvd or through Larimer Street this year. The race is concentrated around Civic Center Park, along 17th Street, and in City Park. The finish again is in front of the State Capital Building. 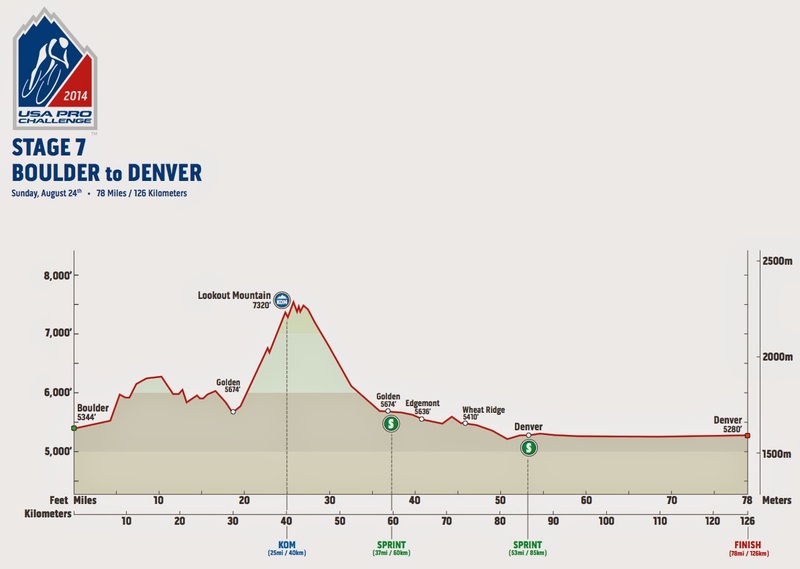 Map and profile of Stage 7 courtesy of USA Pro Challenge official website. 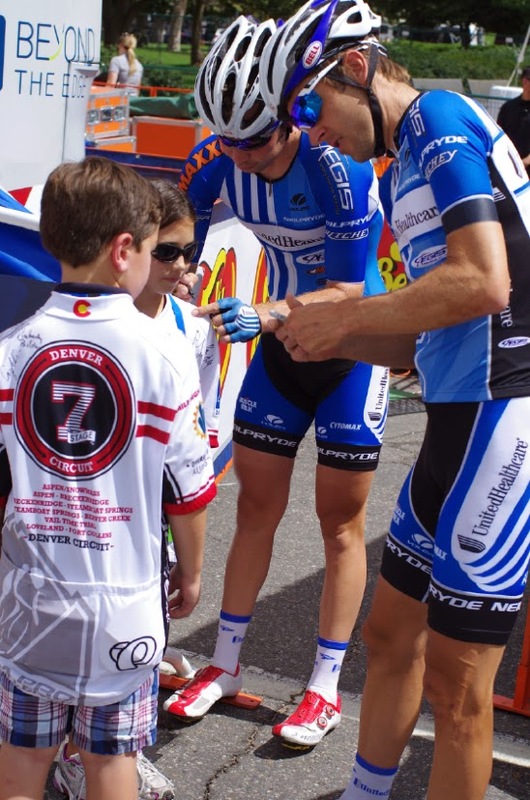 Last year I experience a very exciting lap in the Media car around the course of the Pro Challenge through Denver to insure that I was offering the best advise possible to fans about where to see the race. I can share first hand that it was super impressive to see the huge numbers of fans that lined the route. Thank you! 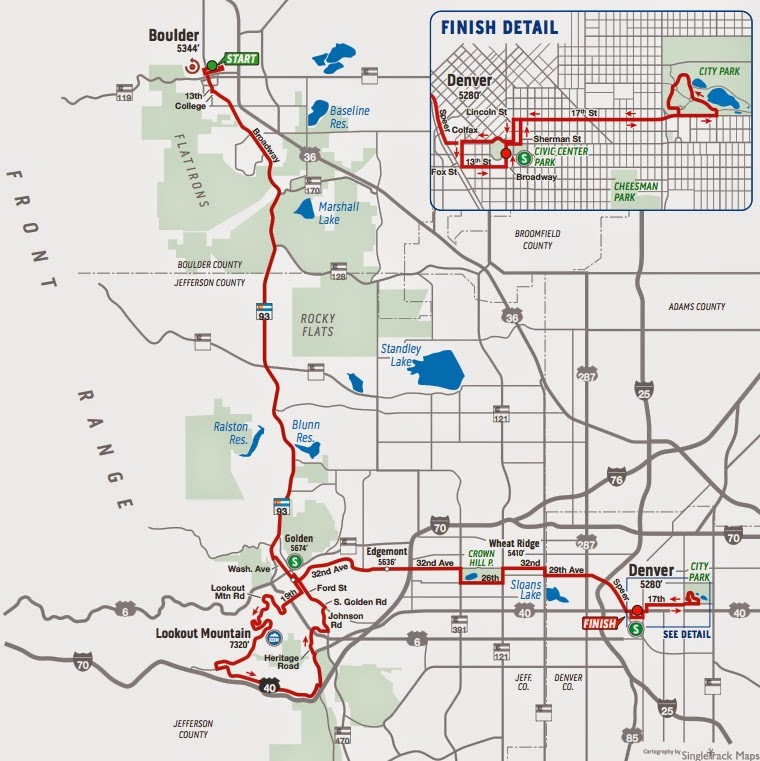 This year's Stage 7 final circuits in Denver will have a slightly different route from 2013, so study the route map closely. I have highlighted the recommended viewing areas below. 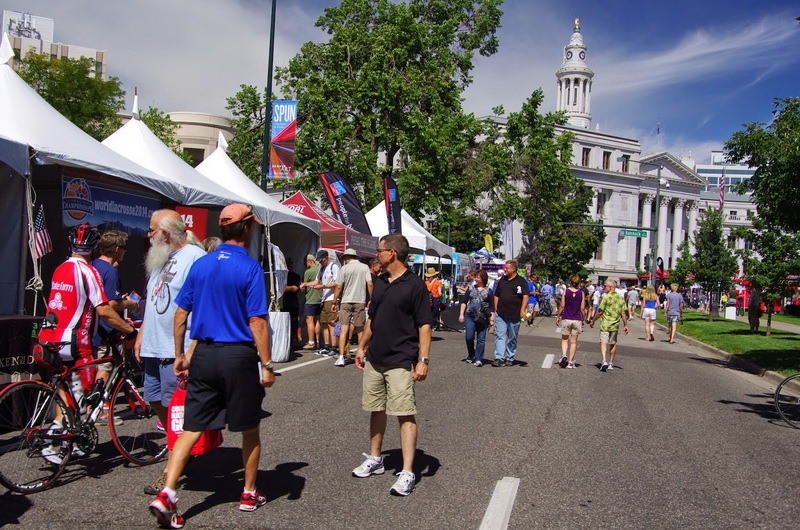 The Expo festival area is located in Civic Center Park where race partner Sierra Nevada can be expected to have beer for sale. The open layout of the park allows fans to move freely and run from side to side to see the race on Colfax and 14th St. The finish line is very nearby on Broadway (but crowded by VIP tents). 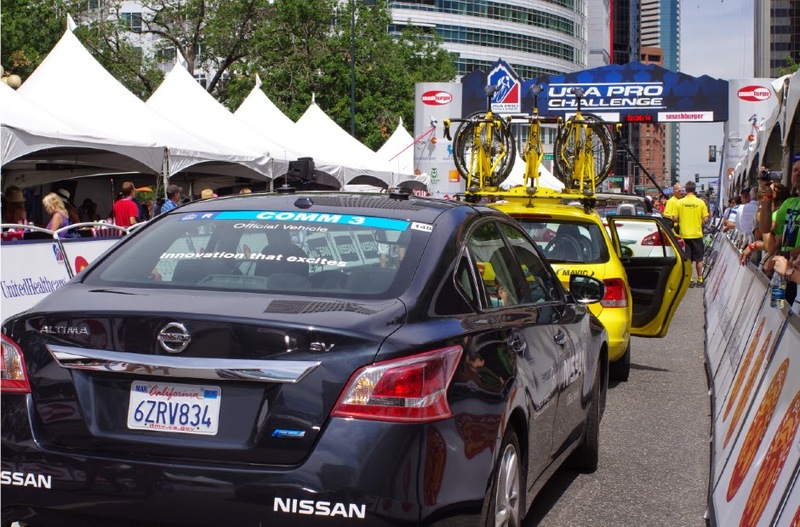 If you find a way into the small corral on Colfax between the VIP tents and the Capital building -- in the middle of the street -- you will be able to see the riders coming and going in both directions. No shade, no seating, no water, just good viewing. You will also be close by to the podium presentation after the race. 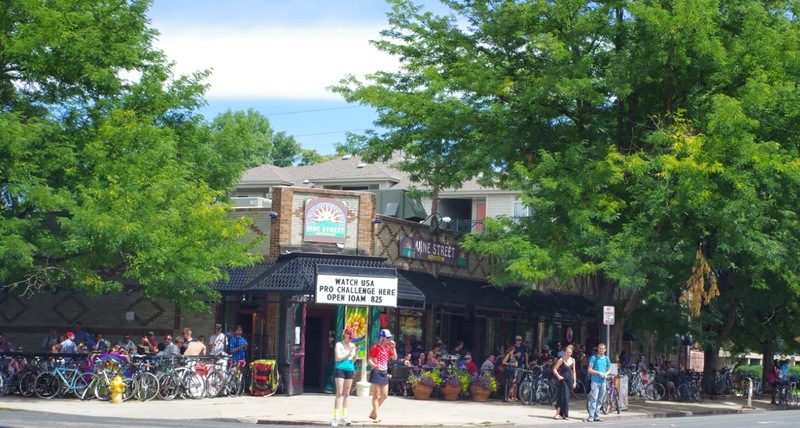 The restaurants and businesses that line 17th Street offer a nice base to see the race go by in BOTH directions along this long boulevard as the peloton races back and forth between the capital and City Park. You may find patios and shade trees and even portable bleachers set up on race day. City Park was filled with happy fans last year who brought in their own chairs and tents, coolers and banners and set up hours in advance on the cool grass. The park has a number of corners; it is always great to witness the racers through fast corners. 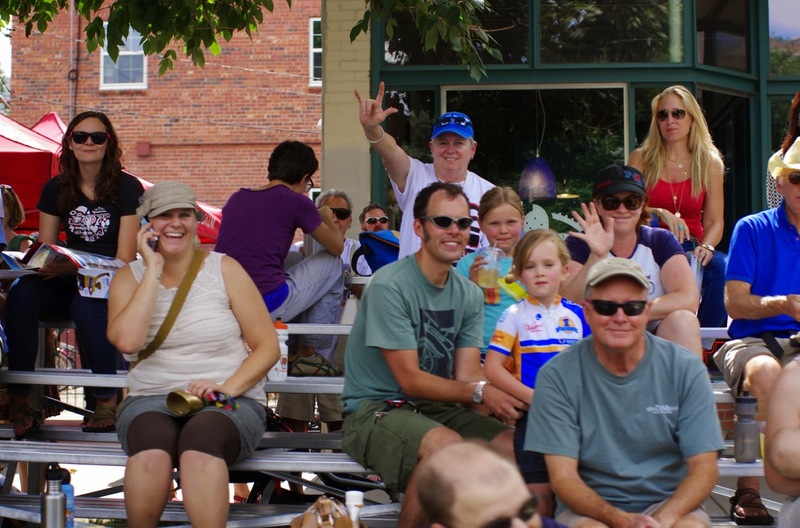 Ride your bicycle to the Festival: Bicycle Colorado is hosting bike valet locations at each stage finish expo area. They will hold your bike safely for free (if you wish you may purchase an annual membership to Bicycle Colorado as a thank you). The Bike Valet Lots are being fully sponsored by Lexus a new race sponsor for 2014. Thank Lexus. 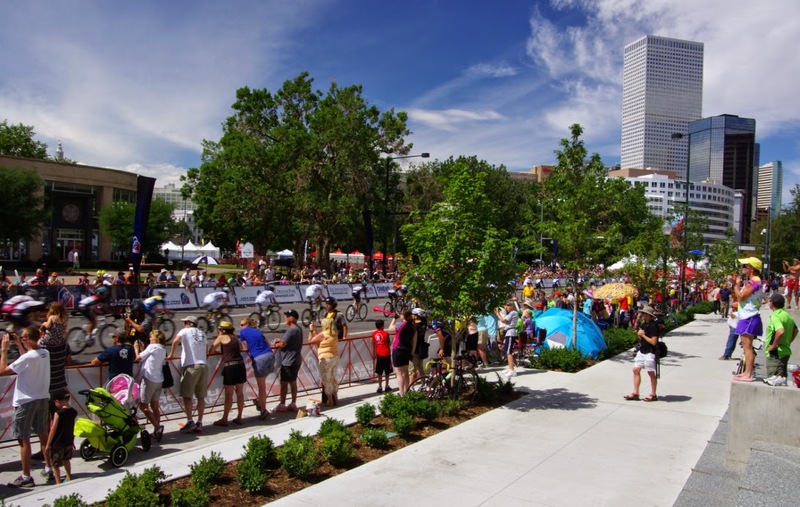 For Stage 7, the Bike Valet Lot will be located at Civic Center Park in Denver. 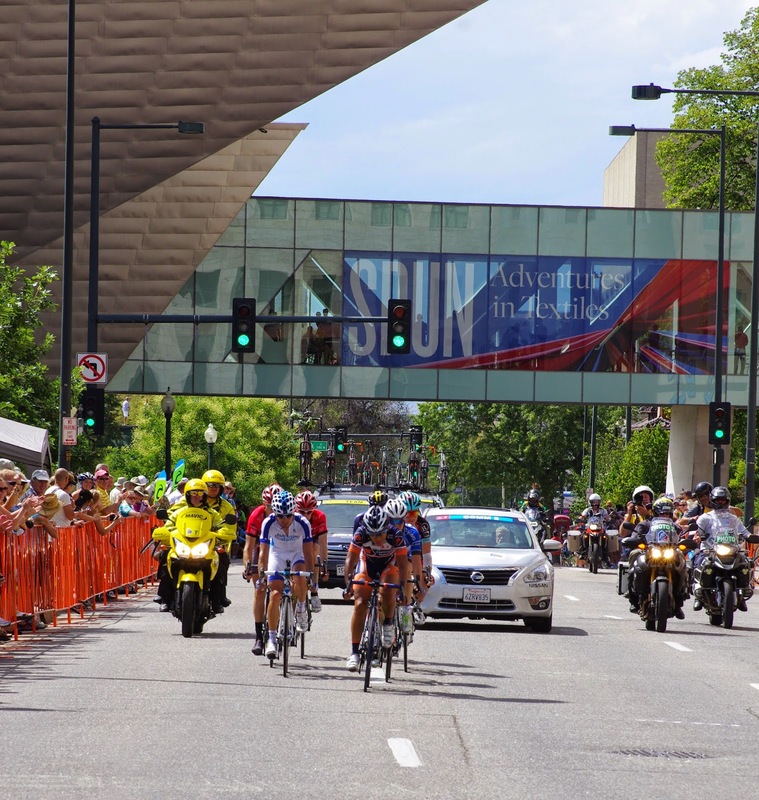 Watching the USA Pro Challenge bike race near Denver Public Library in 2013. Fans along restaurant row on 17th Street, at the Mountain Sun Brewery in Denver. Small (free) bleachers set up for spectators along 17th St in Denver, 2013. Not all VIP tickets are worth it either for the money or the location, but Denver is different. The VIP tents in Denver are perfectly located along the finishing stretch. VIP tickets offer shade, food, drink, tables and chairs, tons of VIP swag, and excellent people watching. Oh and did I mention great race viewing. You will also be right there for the final podium presentation and champagne celebration, just at the end of the block about 30-minutes after the final winning sprint. Buy your tickets, $350 each. VIP tents in Denver - right in the center of the action. Champagne celebration for the Best Team in 2013 - BMC! They will be back again in 2014. 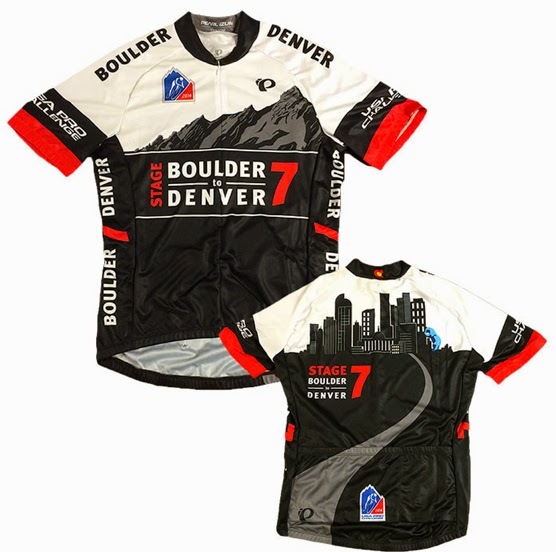 They will need lots of volunteers for this stage through Boulder into Golden and finally Denver. 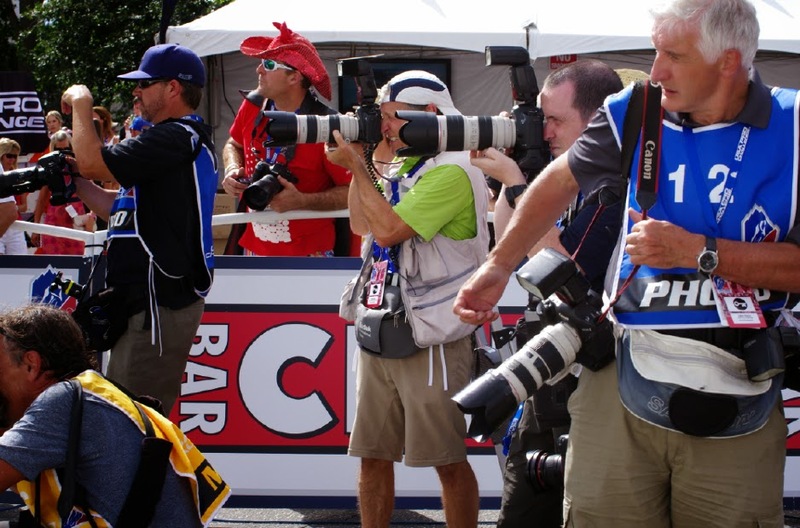 Please help by volunteering for the day at the USA Pro Challenge on Sunday, August 24th: volunteer application form. Road closure schedule State Highways for Stage 7, Boulder - Hwy 93 - Golden - Lookout Mountain - Golden - Denver (circuit laps around downtown). All roads for the circuits will be fully closed, other roads will have rolling road closures. 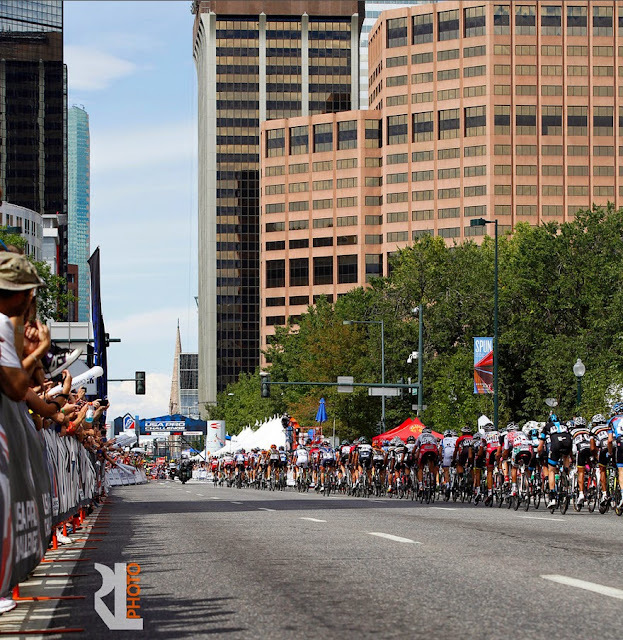 CDOT Colorado Department of Transportation advisory: USA Pro Challenge Road Closures 2014. Local Route and Street Closure Information for Stage 7 Denver - USA Pro Challenge bike race, August 24th.